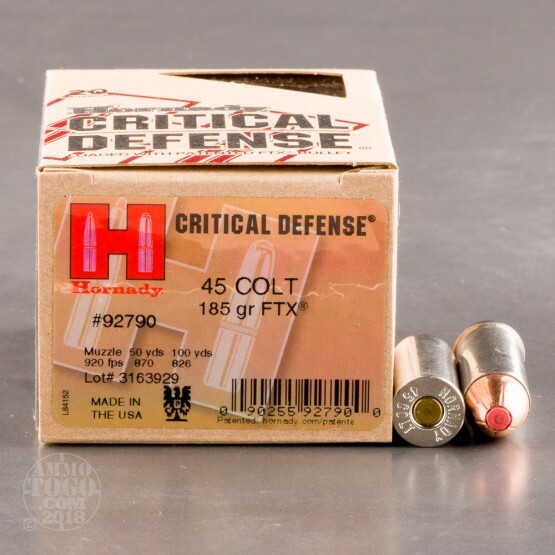 For almost 70 years, Hornady has been producing quality, high-performance ammunition. Using only the finest components, Hornady delivers record setting accuracy, superior ballistic coefficients, unparalleled terminal performance, and impressive consistency. 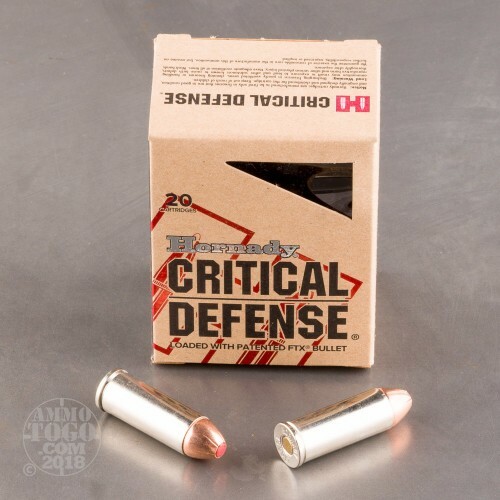 Hornady continues to leave their competition in the dust with their Critical Defense line of ammunition. 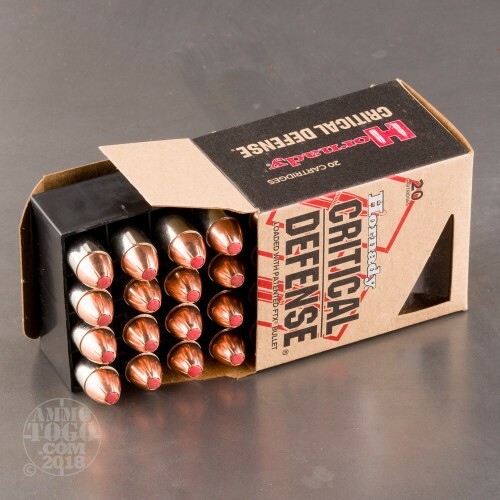 This package contains 20 rounds of Hornady Critical Defense .45 Long Colt ammunition. Each cartridge is loaded with a 185 grain FTX hollow point projectile. The specially designed polymer Flex Tip featured on each FTX bullet works to assist terminal expansion while eliminating the risk of a clogged hollow point cavity as the bullet travels through tough barrier material. 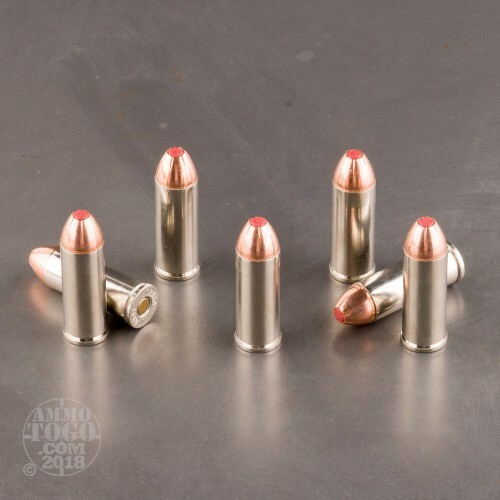 This new production ammunition is non-corrosive, boxer primed, and features highly visible nickel-plated brass casings for smooth and reliable function. These rounds are also manufactured using clean-burning and stable propellants for consistent performance. The proprietary propellants also reduce felt recoil, especially in lightweight handguns, while producing minimal flash to preserve precious night vision. Each round produces a consistent muzzle velocity of 920 feet per second and 348 foot pounds of threat-stopping muzzle energy. Use these loads for personal protection, home defense, and concealed carry. posted on 1/16/16 by Wayne B. Tested on wet newspaper from a 3.75 inch barrel -- this ammo has good penetration and makes a big hole. With the light bullet it does shoot a little low. I also tested it with a 20 inch carbine and a 5 gallon jug of water (type used in a water cooler). The bullet did not penetrate the jug but split it apart lengthwise. Recoil is very mild. I recently bought a S&W Governor. The CR 185 gr. is what i have found to be very accurate in this gun, but it has a lot of un-burned powder left over after shooting. The cases contain lots of powder not burned.